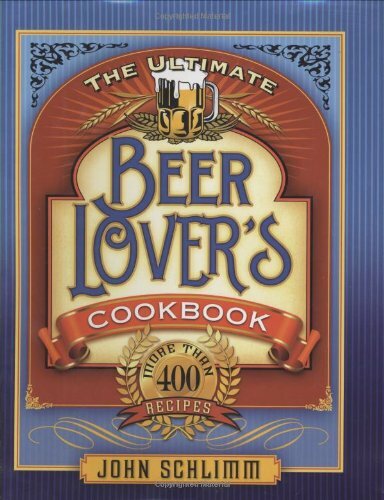 More than ten years in the making, The Ultimate Beer Lover’s Cookbook is an unprecedented collection of more than 400 food and drink recipes containing beer as a main ingredient. From scrambled eggs made with beer at breakfast and a cheese steak sandwich with onion rings or a beer burger and Chocolate Beershake for lunch, to a surf ‘n’ turf beer-infused combo of lobster and steak for dinner (and a midnight snack of chocolate-dipped strawberries), beer lovers can feast on brewskis at any time of the day. Every genre of food is included: appetizers, breads, soups and chili, salads, fruits and vegetables, sandwiches, sauces, marinades, beef, poultry, pork, wild game, stews, fish and seafood, past, and desserts. Dave at Tailgating Ideas obtained a review copy and was kind enough to share his review. There’s another review at urbandaddy.